Catalonia is an autonomous region of Spain located on the Mediterranean Sea next to France. It is blessed with a wonderful climate, a rich history and and friendly people. Barcelona is Catalonia's largest city and is renown for its architecture. It is also a cruise port for Mediterranean cruises. The north coast of Catalonia is called Costa Brava. 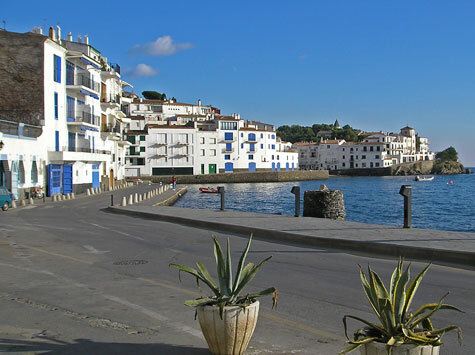 There are numerous seaside resorts in this area including Cadaques, Saint Feliu de Guixols and Tossa de Mar. This area of Spain is known for its sunny beaches and beautiful scenery. The inland city of Girona is gorgeous. The volcanic zone around Olot, in north western Catalonia is another scenic area of Catalonia, Spain. The Garrotxa Park offers plenty hiking trails, castles and ancient churches. Siurana, which is located directly east of Barcelona, is a world-class climbing area. The mountains around the ancient town are spectacular!